Come to the Arts Station for a fun day of crafting with Nadia! A full day of creativity on Saturdays. Lots of fun and great way for your child to develop different arts skills! Refunds requests must be made via Eventbrite booking portal. Refund requests will only be accepted 7 days prior to the workshop. Only fully paid children will be allowed to stay for the workshop. Children must arrive with a parent or carer and be picked up by a parent or carer, unless a different agreement is made in writing with the Arts Station in advance. Children will not be allowed to stay for the workshop if we do not have a signed waiver and emergency contact info. These rules are made to make sure we provide the highest standard of care for your children. Your cooperation is very much appreciated. 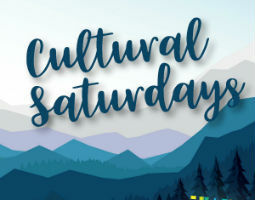 Adult Cultural Saturday program also available check it out here. Pre-registration required. Sign up here.